Fakear may not be a name you are familiar with yet, though that is about to change. Lesser known as Théo Le Vigoreux, the 24-year-old French phenom has already developed a fine-tuned affinity for creating beautifully intricate, multi-layered compositions. He has quietly emerged with a handful EPs in his catalog, seemingly limitless creativity embedded in his process, and an appropriately tongue-in-cheek moniker. With a well-rounded blend symphonic classics and sophisticated world music shaping his style, the Normandy-bred newcomer’s journey has now culminated with his debut full-length record, Animal. Ahead the release, EDM All Day caught up with Fakear to learn a little more about Animal and the beatmaker behind the beast. The album introduces Fakear in a highly intimate, thoughtfully observed, and genuinely emotional way. Animal sounds like Fakear’s own personal tea party in the jungle, though a common theme romance runs subtly through the entire collection. From moments timid courtship to energetic, animalistic desires, each track lends a little credence to the record’s name. From the album’s opening selection, ‘Sheer-Khan,’ Animal is, in a sense, jungle love. And while spliced, intricate patchworks like “La Lune Rousse” come together as beautiful compositions, the method behind these mosaics is actually less complex than one might imagine. The album is packed with intriguing samples that are ingrained into these imaginatively designed soundscapes. Fakear’s worldly influences are bold and evident over Animal’s 12-track span. Le Vigoreux’s debut rounds out with three collaborations, though the album maintains a simple scope and a personal vantage point. Fakear isn’t quite like the other sounds emanating from France right now. Meshing sonics inspired by Odesza, Rustie, and Bonobo, Fakear flirts with dance-primed funk on selections like “La Belle Ame” and eccentric chimes on “De La Cruz.” One Animal‘s strongest selections comes as a collaboration alongside Andreya Triana on “Light Bullet.” Silky vocals glide through dreamy, downtempo disco chords to make for one the album’s most noteworthy highlights. Animal comes from a place somewhere between tranquility and primality. Romance is rooted in each the album’s selections, from groovy disco-inspired selections to experimental, atmospheric takes on world music. Fakear’s debut, landing Counter Records today, June 20, is a lively collection that can soundtrack a range contexts. 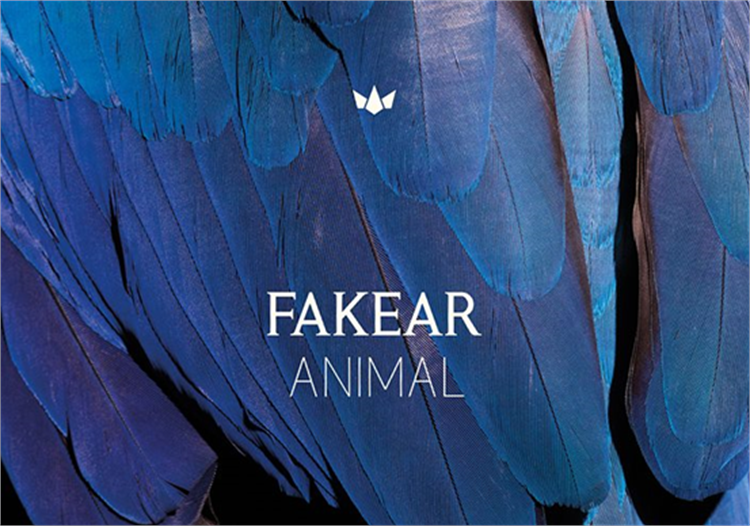 Théo Le Vigoreux’s quiet emergence has ended, Fakear has matured into his next phase, and Animal represents that evolution beautifully well.